The Network for Business Sustainability will soon release its new research report, Embedding Sustainability in Organizational Culture: A How-To Guide for Executives. NBS gave me a sneak preview of the Executive Summary of the report, and invited me to review it. 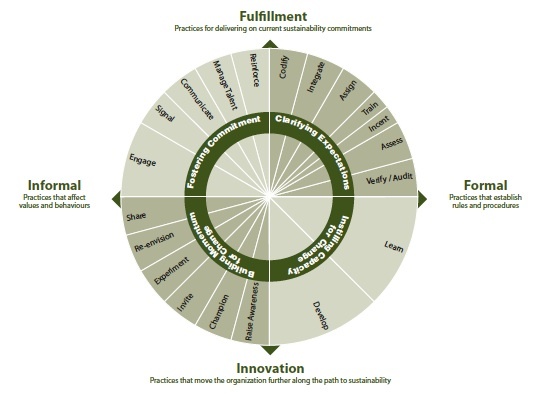 From a comprehensive review of academic research on sustainability and organizational culture (as well as studies dealing with other types of organizational culture change, such as safety and innovation), NBS’ research team identified a broad portfolio of practices for embedding sustainability. Some of these practices have been shown, through research, to be effective, while others show potential but remain untested – at least, in an academic sense.